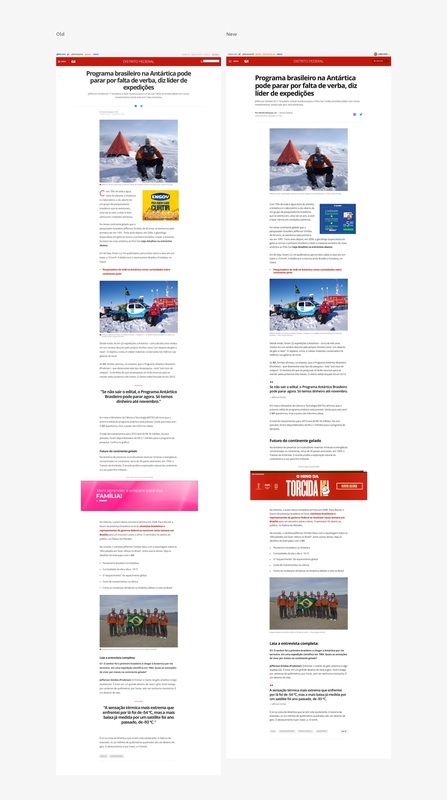 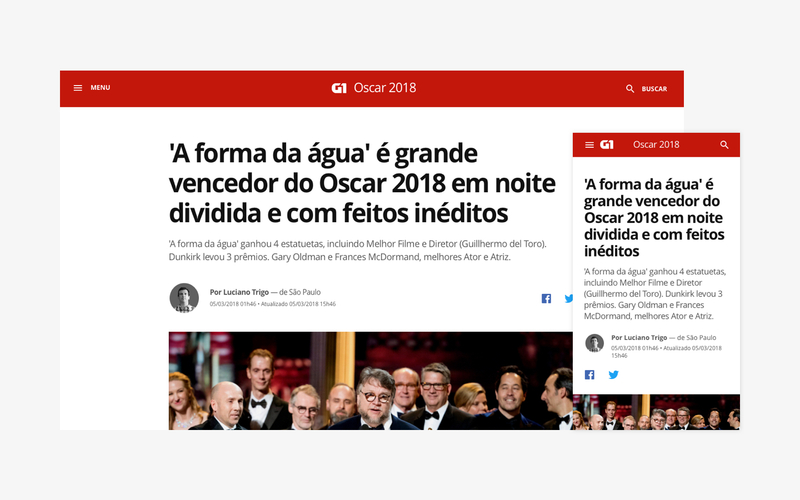 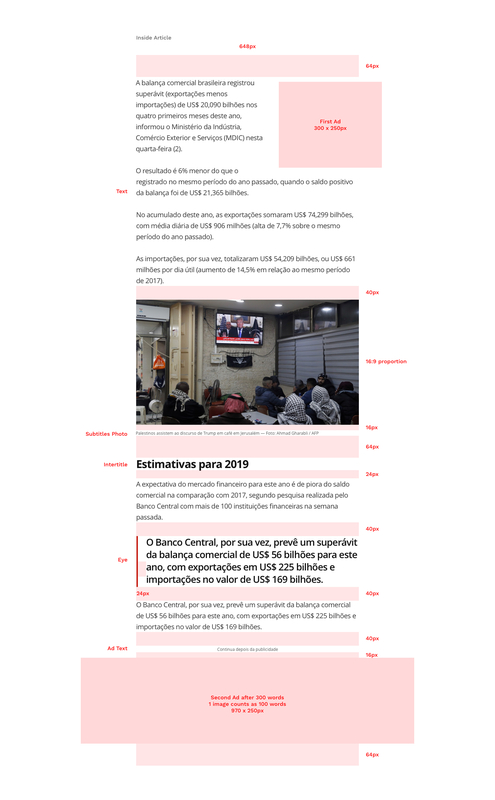 On 2018 I joined the Article team at Globo.com and helped them on the redesign of the Article with small and subtle changes. 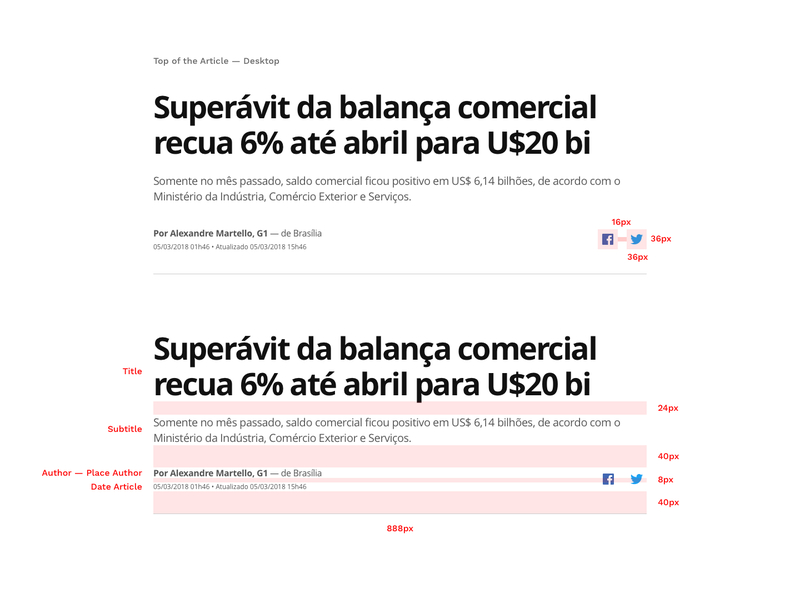 We created a new Design System with simple and clean concepts that were spread troughout all the products at Globo.com. 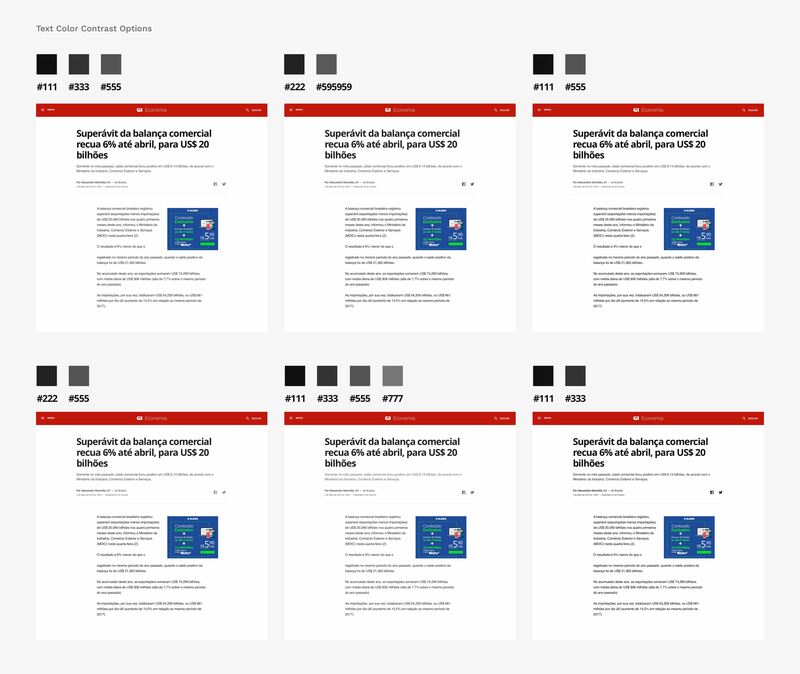 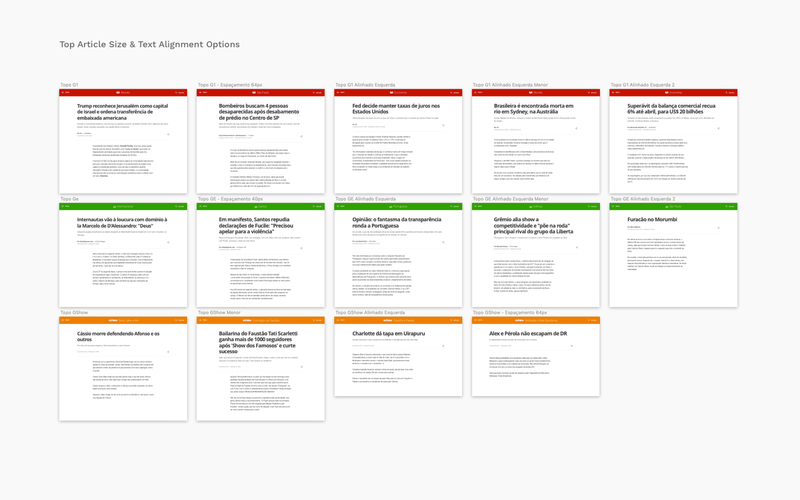 Our Design System concepts were: Less typefaces and typography styles; well stablished typography hierarchy that permits an easier scan of the page; white space as part of the content so that we don't need to put more elements such as lines to separate a paragraph from an intertitle for example; and color only as an attention spot.